A solo cycling journey from Shanghai, China to Padang, West Sumatra During the spring/summer of 2009 I determined to cycle departing from my pre-war apartment in Shanghai and to continue as far as I could in the three months time I had from April 11th until July 11th. 8000 eventful Kilometers later I finally reached Padang, West Sumatra. Aside from only one ferry ride connecting Penang, Malaysia to the Port of Belawan, North Sumatra the whole trip was by bicycle. During the trip I encountered fierce rains and winds, steep climbs and endless mountains, roads that went from pavement to mud and rocks, monkeys jumping down from the trees, snakes the length of baseball bats, lizards the size of big cats, Hmong Guerillas with AK47's on a misty mountain pass. I experienced the kindness of strangers as well as the indecency of others. I pushed my middle-aged body to the limit and achieved a personal record in northern Thailand by cycling 263 kilometers non-stop in one truly eventful day of fast and hard riding. We are Tim and Cindie Travis. We left our Arizona, USA home back in March ( 2002), and have been traveling by bicycle throughout the world. We have peddled through Arizona, Mexico, Central and South America. Our future plans include Asia, Australia, Africa, Europe, Russia, Canada, and the USA. Our plans will take us the next several years to complete. Visit our popular web site that is updated frequently as we travel. You will enjoy thousands of pictures, our daily journal, and the online discussion. In May 2004, after having worked for 18 months in China, I decided to hit the road to fulfill my dream of a lifetime: to travel extensively in Asia and Oceania without the pressure of time and the necessity of airplane travel. My idea was to travel mostly overland and give myself enough time to get to know faraway countries and different cultures by living as close as possible to the local realities. Having met Fred during my last months in China and finding his ``RTW by bicycle'' a very stimulating way of traveling, I planned my journey in such a way as to be able to join him in the Philippines and spend 6 months on the road with him. 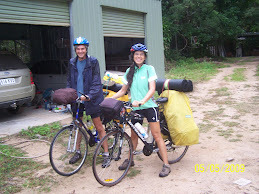 The experience was a success and when Fred took the road to Europe from India, I decided to continue traveling by bicycle on my own in South-East Asia and finally Australia. Planète D. is our volunteering and filming world tour on the tandem bike. It's that simple. We film, edit and share videos. Welcome to the Brink Expedition! Imagine attempting a global traverse that would take you 50,000 kilometres through some of the most difficult terrain and extreme weather on the planet, all the time attempting to use only human power and the natural elements. Starting deep in the heart of Amazonian South America the Brink Expedition will encounter unforgiving Patagonian winds, snowed over Himalayan Mountain passes, monsoons on the sub-continent and the oppressive heat of Australia's Red Centre. So while the clock ticks, the seasons will turn, making this a full-throttled Race Against the Elements! Photo albums and brief travelogues from two bicycle trips in South-East Asia in 2001 and 2002, repectively. The trip 2001 started in Singapore and took us through Malaysia, Thailand, Viet Nam and Lao. The journey in 2002 started in Chiang Mai, took us through Northern Lao, Isan, and Cambodia. In the fall of 1998 I set off on a long journey by bike. It covered more than 15000 kilometers and 14 countries. During this trip I was hit by rocks and cars, I was baked, soaked, and deep frozen by the weather gods. Mostly, however, I had a superb opportunity to see some of the most beautiful scenery in the world, meet wonderful people and enjoy the culture of widely differing lands. 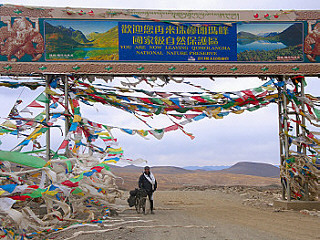 This site is about my bike trip from Sweden to South-East Asia via Eastern Europe, The Middle East, Pakistan, China, and Tibet. 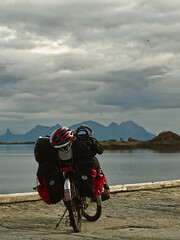 It also contains general information and links on bicycle touring and travelling in general. A site filled with tours all over Europe, Africa, Asia, and America.